Libyan rebels celebrating the taking of Qaddafi’s hometown Sirte in Tripoli, Libya. The death of Libyan dictator Muammar Gaddafi was announced today, on October 20, 2011. According to multiple reports, including an official statement by Libya’s National Transitional Council (NTC), colonel and de facto absolute ruler of Libya Qaddafi was killed during the final assault on his hometown Sirte. At the same time it is not yet immediately clear how Qaddafi lost his life. According to several reports he was taken captive by the NTC fighters, beaten and executed. A very graphic video circulating on YouTube seems to support this account of events. Qaddafi’s alleged execution in captivity will certainly bring additional scrutiny to the National Transitional Council’s treatment of prisoners of war, as well as the legality of NATO’s intervention in this conflict. Nevertheless the Arab Spring movement can celebrate another victory. A 42 years old dictatorship that brutally suppressed all previous popular protests was finally destroyed by its own citizens, bringing a new dawn to Libya. 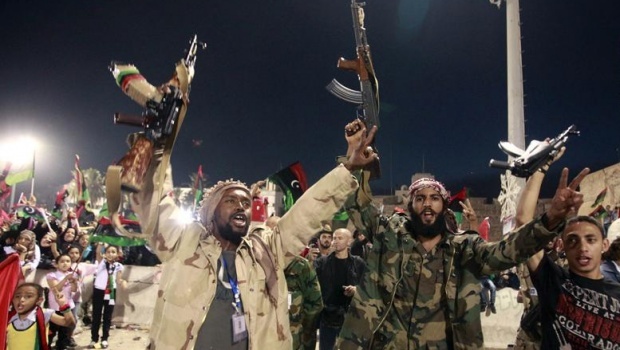 Of course no one is really sure what this new Libyan dawn entails. Who will now take power, who will win and who will lose, and whether Libya will be better off now with Gaddafi gone are still open questions that need to be answered.